RETREAT PERFECTION - BOOK NOW! What better way to overcome the winter blues? Come join us on a magical four day retreat in the stunning Casa Dalia where we will take your mind, body and soul on a complete transformation. Every is was filled with meditation, wellbeing workshops utilising EFT (tapping), yoga, relaxing in the sunshine, watching the sun rise over Africa, journalling, sound circles and so much more. Filling you with healthy goodness throughout are the insanely talented @pachamamaorganic who create the most incredibly delicious plant based meals every day - ensuring everyone is nourished both inside and out. Casa Dalia has a truly SPECIAL energy & we can't wait to get back out there! We only have a few places left now for our retreat 20th - 23rd JUNE 2019 so please get in touch kim@happyheads.me for a retreat pack and to book. We often put our own self care at the bottom of our priority list, meaning we feel exhausted and completely burnt out - it’s time to make a change & prioritise yourself! 24th - 27th January we are returning to the stunning Shropshire Hills and yes there are loads of wild ponies! Happy & Wild will take your mind and body on a magical journey of transformation. You’ll have four days filled to the brim with meditation, yoga, wellness workshops using EFT (tapping), hiking in the hills, healthy & delicious food, journalling, rest, relaxation and much more. Whether it’s a present for yourself or a loved one, it’s the perfect way to start the year. Please contact me kim@happyheads.me for a retreat pack and to book. Spaces are filling up quickly so don’t miss out! Let’s face it summer is always hectic and you come out of it feeling truly exhausted! Don't worry because I have just the thing you need to help COMPLETELY reset your mind, body & soul!! 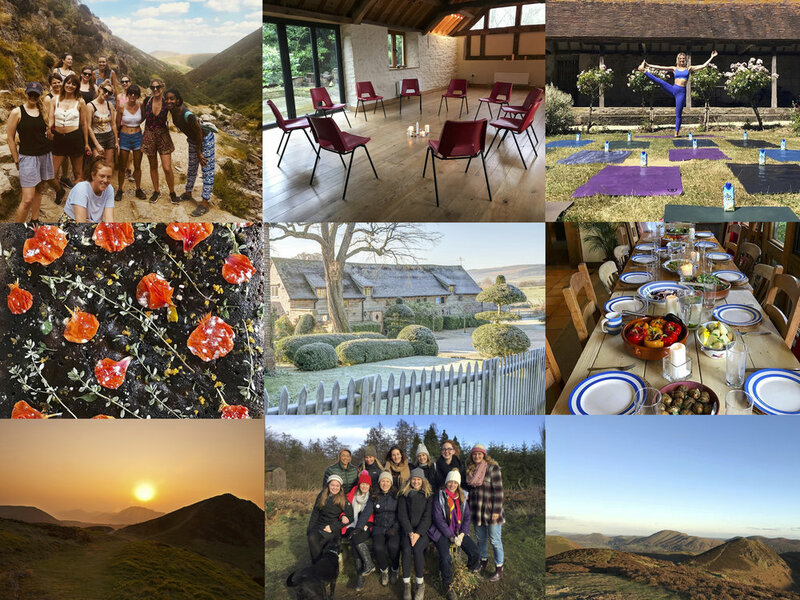 Happy & Wild are returning to Wandering William and the stunning Shropshire Hills 1st - 4th November for four magical days filled to the brim with meditation, yoga, wellness workshops using EFT (tapping), hiking in the hills, healthy & delicious food, journalling, rest, relaxation and much more. I’m still pinching myself that this is actually my job! Back from running a magical four day retreat in the stunning Casa Dalia where we had the most AMAZING group of women. So much love for everyone that came, nurtured their mind, body & soul - creating a truly special energy. 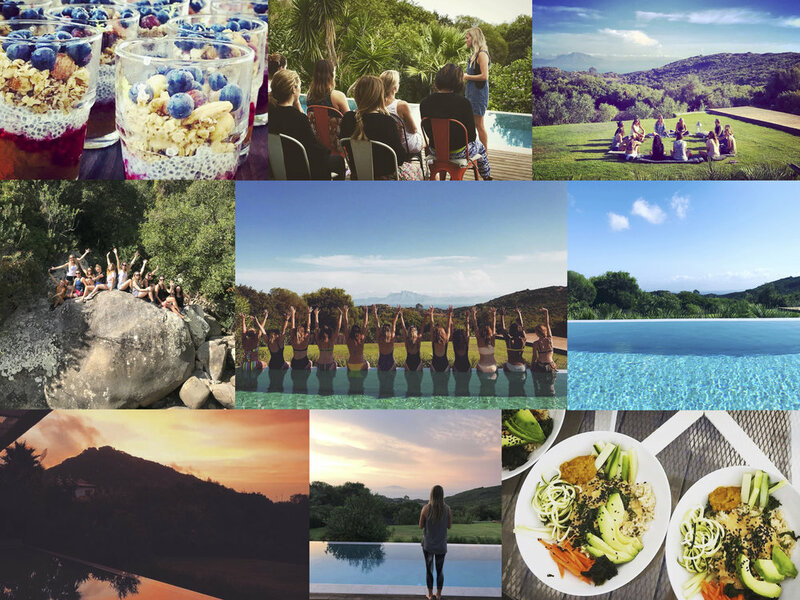 Every day was filled with meditation, wellbeing workshops utilising EFT (tapping), yoga, relaxing in the sunshine, watching the sun rise over Africa, journalling, deliciously healthy food and so much more. Extra special thank-you to the insanely talented and wonderful soul @pachamamaorganic who created the most incredible plant based meals every day meaning everyone was completely nourished inside and out - missing you guys already. Final massive thank-you to my talented partner in health @wildthingyoga1 . You know you’ve got a great partnership when work feels like a holiday. Because Casa Dalia has a truly SPECIAL energy & everyone had such an incredible time, we’ve already booked our dates for 2019 - come and join us!